Motor racing is a dangerous sport. We all know that. It says so on the back of the ticket. But when someone does die the fact we knew he was engaging in a dangerous occupation does nothing to lessen the shock on the senses, the degree of grieving for someone we've probably never met, the thought that someone has lost a husband, father, son. 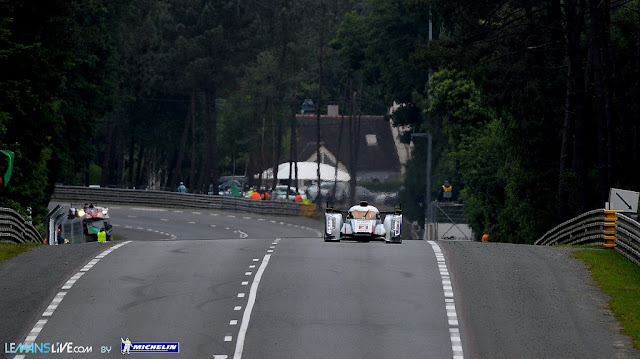 On lap 4 of the 90th running of the 24 Hours of Le Mans, Aston Martin #95 driven by Allan Simonsen hit a wet kerb and speared into an Armco barrier, behind which stood an unmovable tree. Simonsen's death was confirmed during the course of the race. His family gave their blessing for the other two Aston Martins to continue racing. Any devotees of the Isle of Man TT will know what it is to hear of the death of a competitor. They will also know it never gets any easier to hear. Our thoughts are with the family of Allan Simonsen. 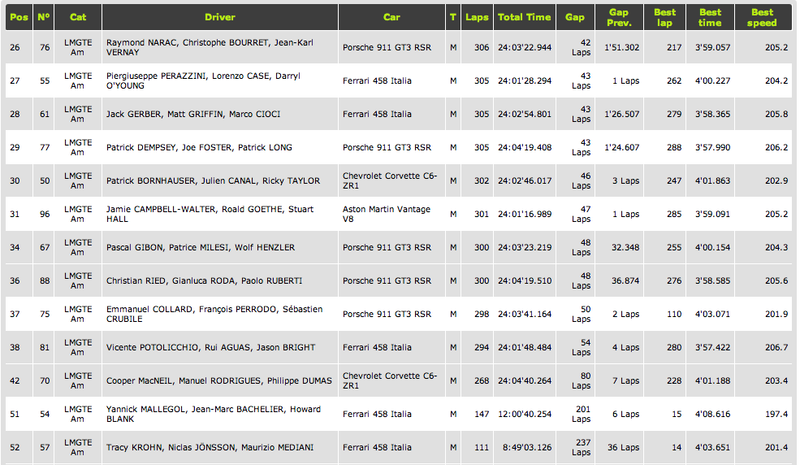 The race continued under variable conditions and with a record 11 safety car periods. 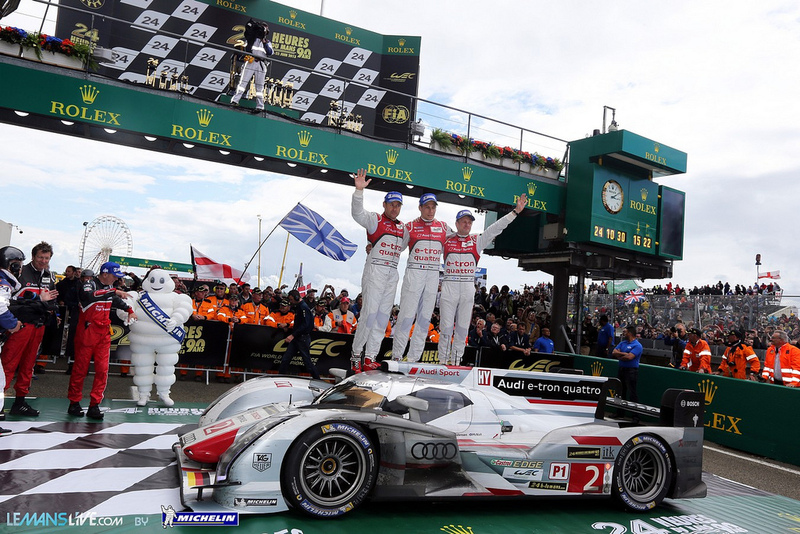 In LMP1 the #2 Audi R18 e-tron quattro of Alan McNish, Loic Duval and Tom Kristensen won - McNish for the 3rd time and Kristensen for the 9th - whilst Toyota in only their 2nd year at Le Mans finished second, an amazing feat for the #8 car of Anthony Davidson, Stephane Sarrazin and Sebastian Buemi. 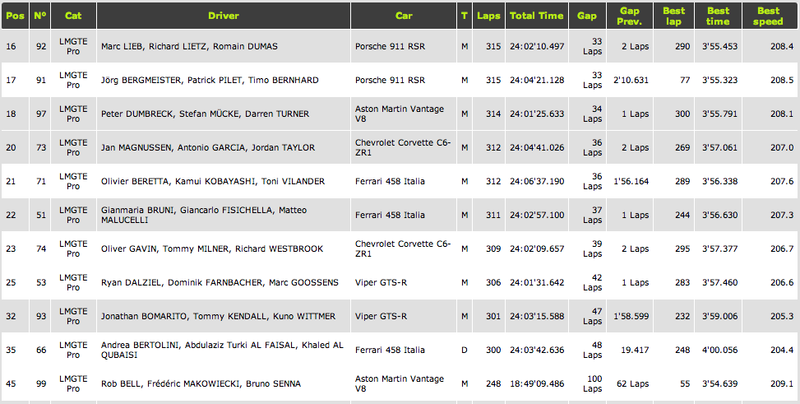 The GTE Pro race was pretty epic. The #97 Aston Martin and #92 Porsche were running nose to tail in a huge dogfight - a straight race to the flag - until the rain came in the 23rd hour and the Aston Martin got stuck in the pits whilst the safety car ran past. 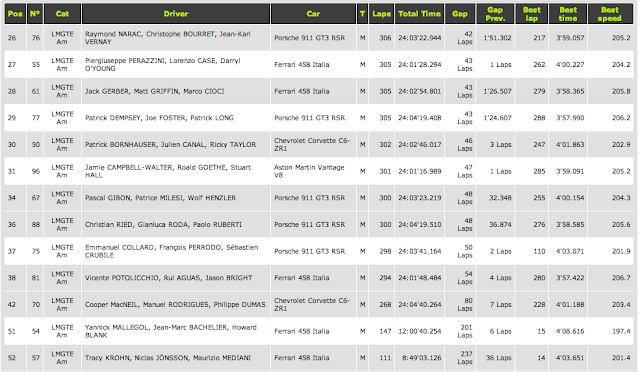 The #92 Porsche came in first with the #91 Porsche 2nd and the #97 Aston Martin 3rd. Le Mans 2013 was a great race, as it always is. 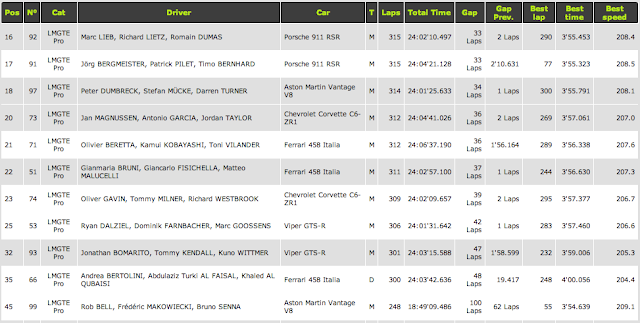 Sportscar racing continues to be a more fan friendly, and more satisfyingly absorbing spectacle, than Formula 1. 2013 saw a race tinged with sadness and with greatness. Tom Kristensen's achievements are legend, Toyota's race plucky, Anthony Davidson's brave (following his massive crash last year) and the GTE cars continued to thrill.